Last night: After a big slab of prime rib at Musso & Frank (Ron Perlman looked over at me from his table and seemed either impressed or disgusted at my eating technique) (OK, maybe he was actually looking at Lori), I saw the 70mm print of “Tron” being shown at the El Capitan Theatre. 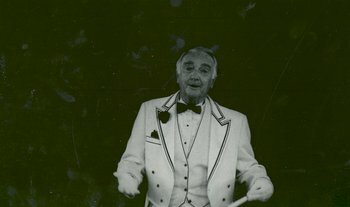 Good hootin' fun. I've been to one or two Star Trek “experiences” in my time, so I know that props look pretty disappointing close-up, but man, the Tron stuff on display in the lobby was... well, only about 10% cheesier than it looks in the movie. 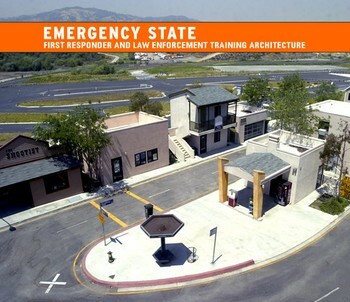 Tomorrow night: First I'm going to the opening of the new CLUI show, “Emergency State: First Responder and Law Enforcement Training Architecture”, “A new exhibit depicting emergency and police training facilities in southern California”. Then it's time for beer and metal as I see In Flames and Killswitch Engage at the Wiltern.